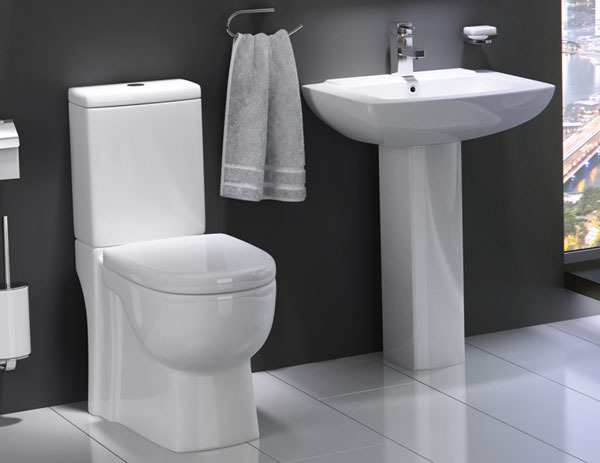 Sorea Basin & Pedestal - Only £64.99! In stock now for just £64.99 including VAT! Hurry while stocks last! Part of one of the most stylish, eye-catching and memorable bathroom ranges on the market today, the gorgeous Sorea Basin & Pedestal offers swooping curves and lines you'll never forget. 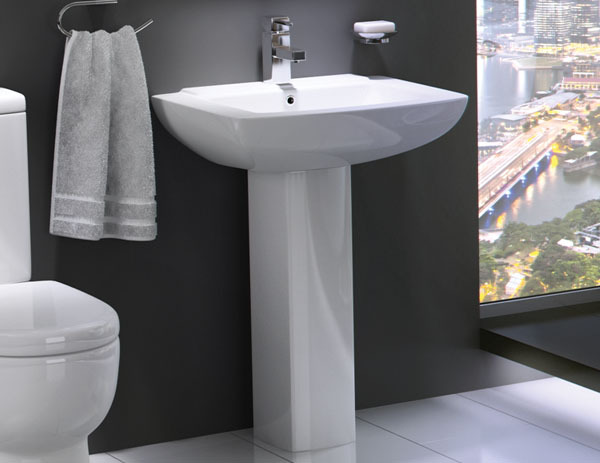 This Basin & Pedestal offers the very latest in bathroom design trends, and is one of the most popular in our range. This is thanks to its sublime blend of modern looks, high-quality construction and superb value for money. 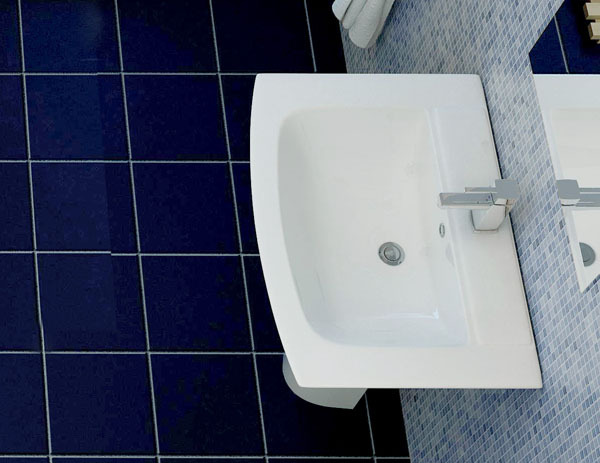 The 580mm basin provides an large and spacious bathing area, via a basin that is both compact and ergonomic. A trusted and well-known range, the Sorea has a great reputation for delivering superb build quality, stylish design and supreme value for money. This combination of features makes the Sorea bathroom range - and this basin and pedestal in particular - one of the most popular on the market today. All of this, plus the added peace of mind provided by a 5 year guarantee, makes this the ideal choice for your home. Pedestal mounted using 2 screws through the back of the basin (not supplied). Basin has one centre tap hole with overflow. This lavish and luxurious basin and pedestal set perfectly combines functional quality with the latest modern styles, at an unbelievably low price. It is especially popular for installations in guest bedrooms and ensuites.